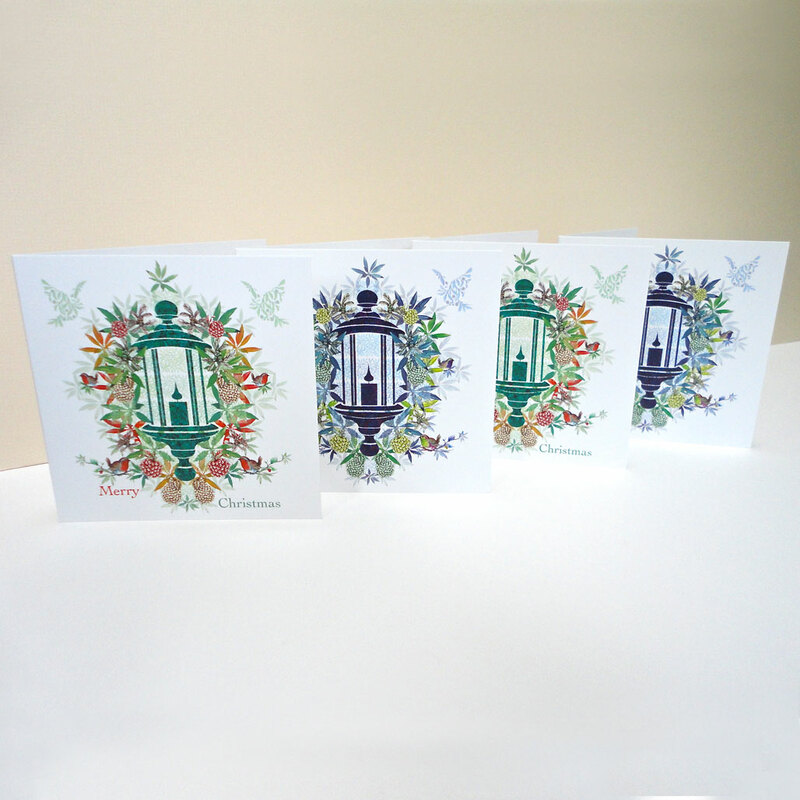 The 'Christmas Lantern Collection' contains four cards two of each design; ideal for Christmas, Thanksgiving and New Year! 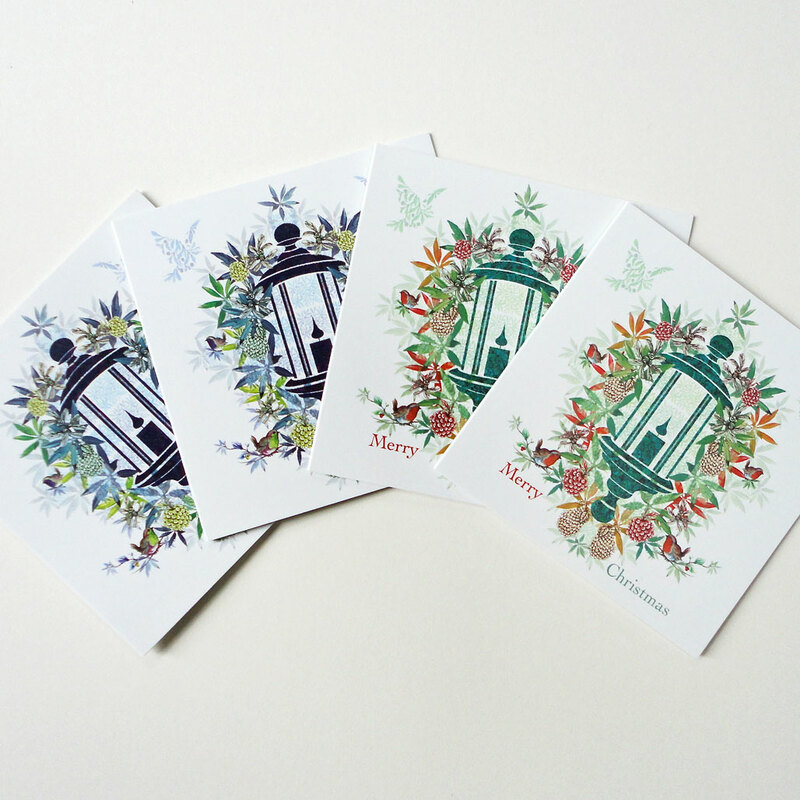 The 'Christmas Day Lantern' is a enchanting little Christmas card is in traditional colours. An emerald green lantern is the center piece set on soft green leaf patterned tiles. 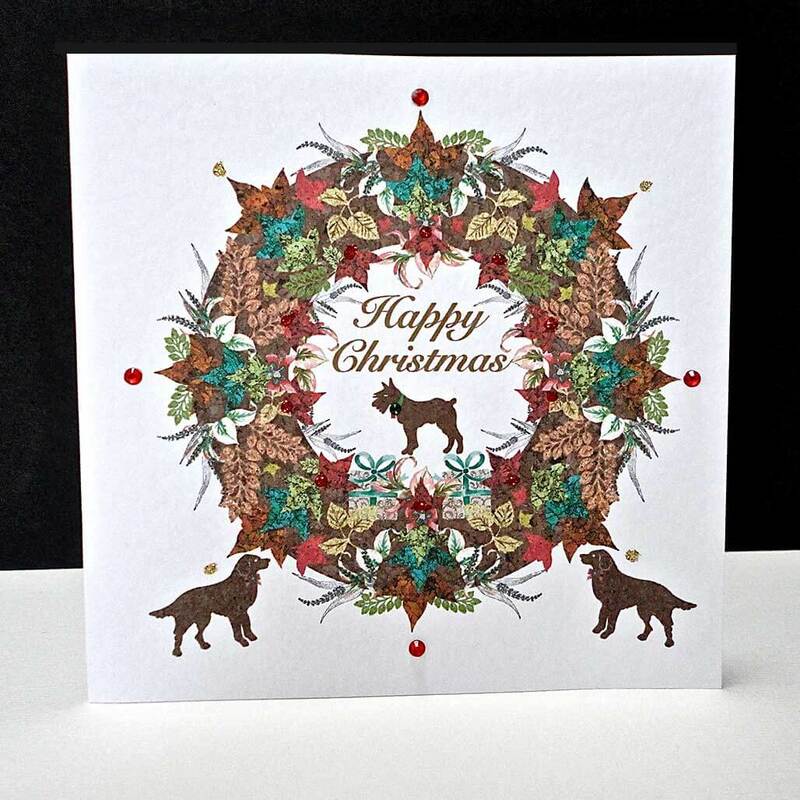 Gathering around are beautifully hand painted robins, berries, cones and leaves. Two doves hover above the scene, which has ‘Merry Christmas’ in red and green text, set on a white ground. 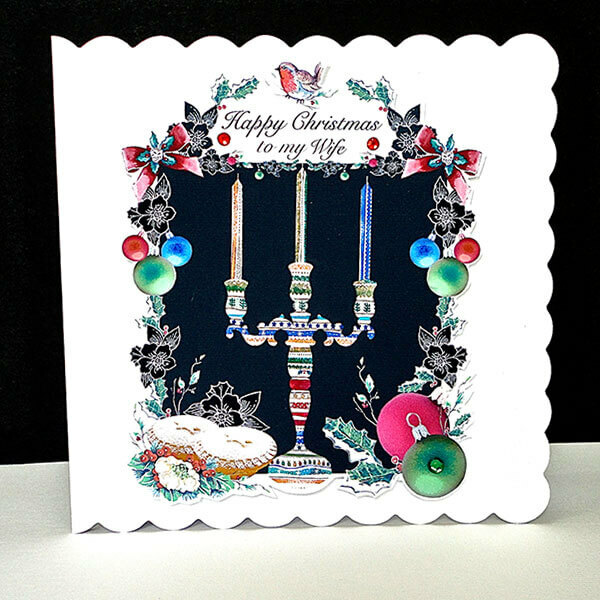 The second card is the' Christmas Morning Lantern', which is the same design but in tones of royal purple with festive greens. A deep purple lantern is the center piece set on soft blue leaf patterned tiles. 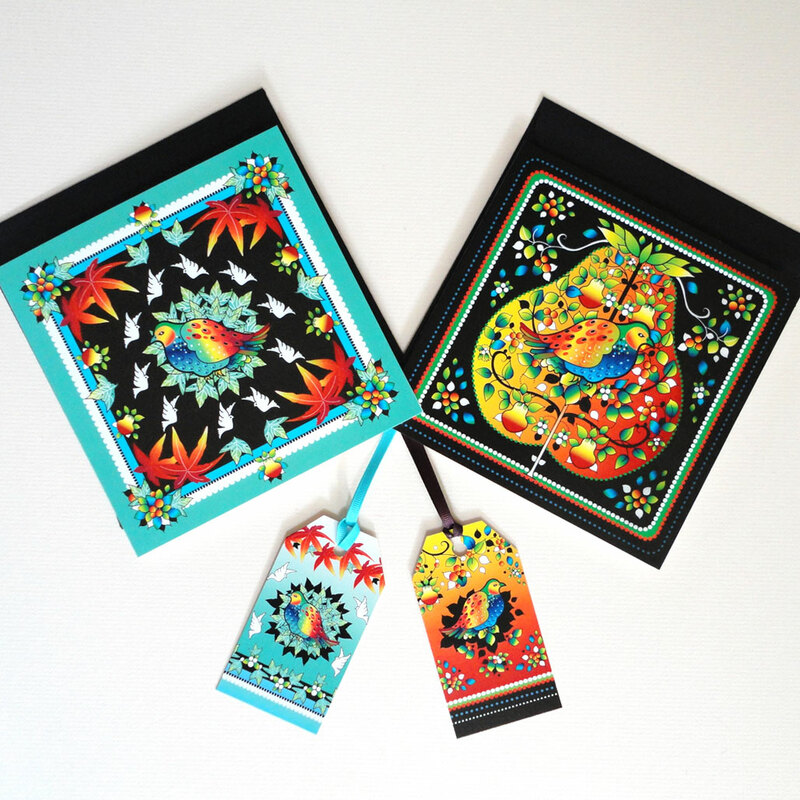 Gathering around are beautifully hand painted birds, berries, cones and leaves. 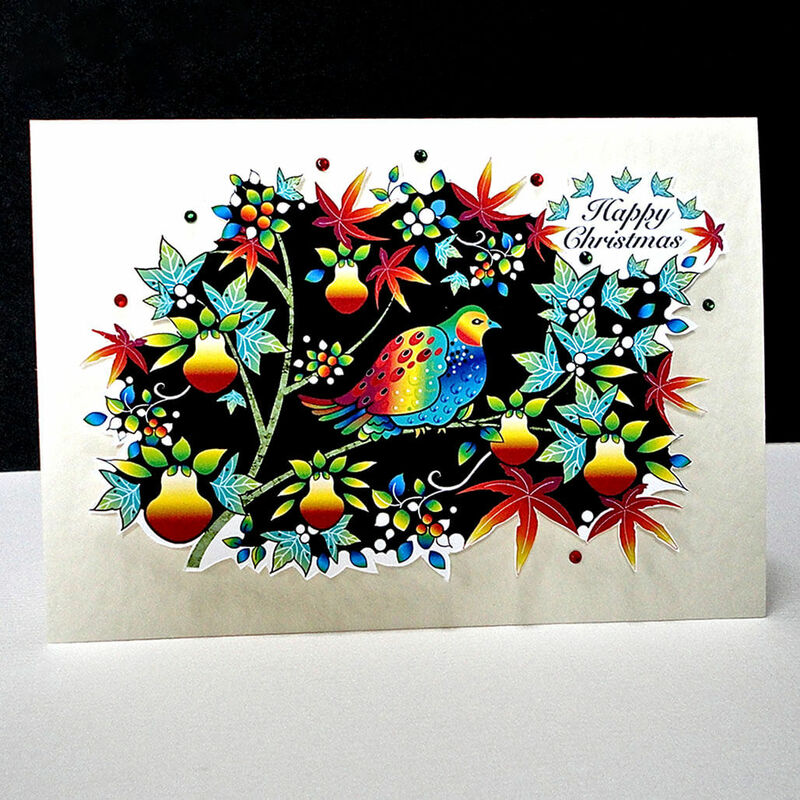 Two blue doves hover above the scene and there is no text, so this card can also be used for a Christmas, New Year or Thanksgiving message. Both cards are blank inside for your own message. 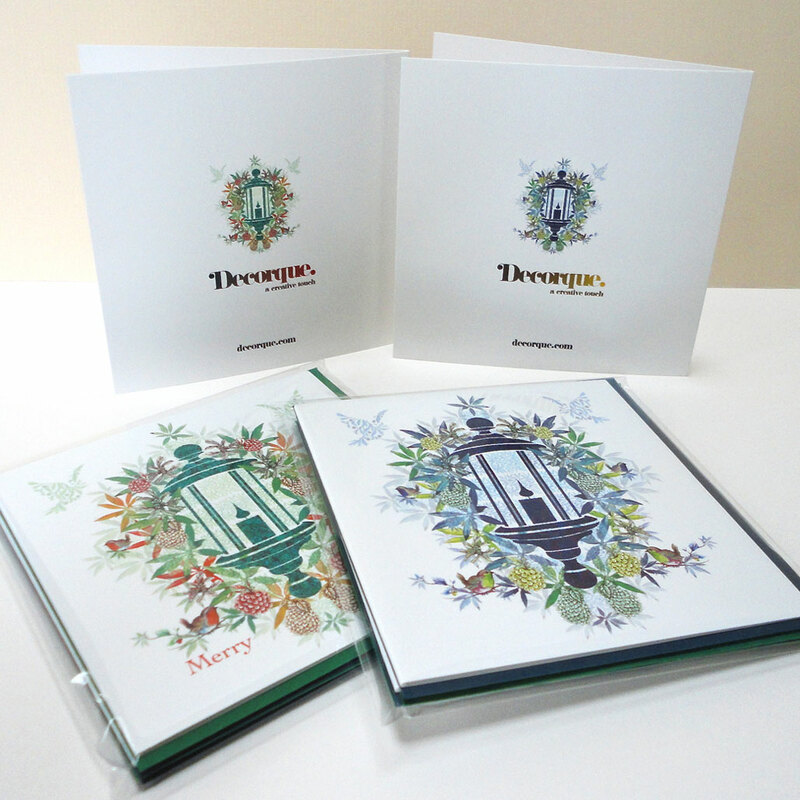 Printed on 290gsm greeting card material with a premium satin finish. 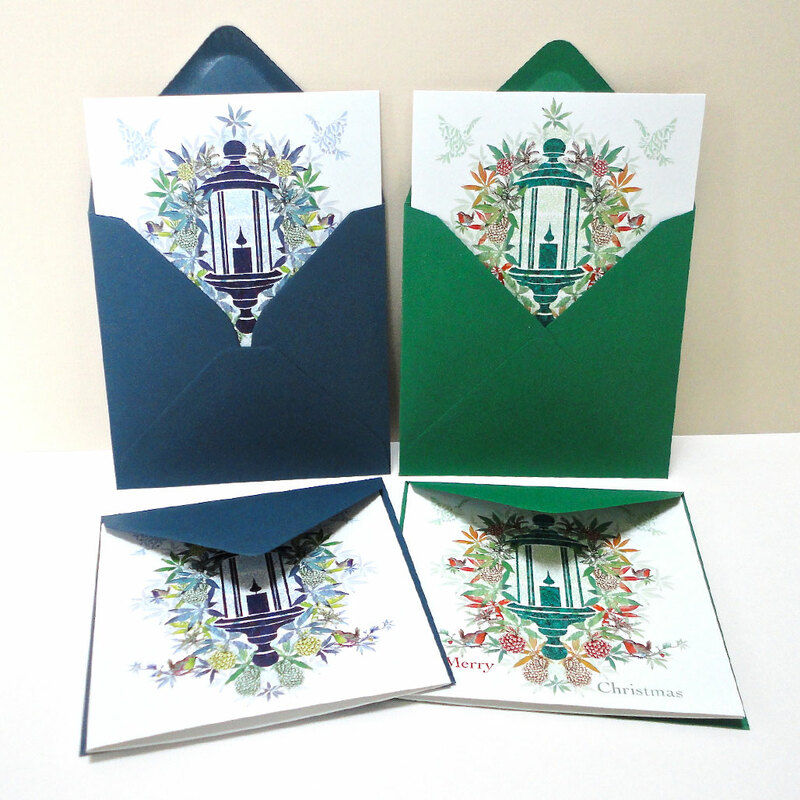 Size: 125 x 125mm square with matching green and air force blue envelopes.